Anna Maria Horner | It's Sew Anny! I’ve been mighty busy in the sewing room lately! 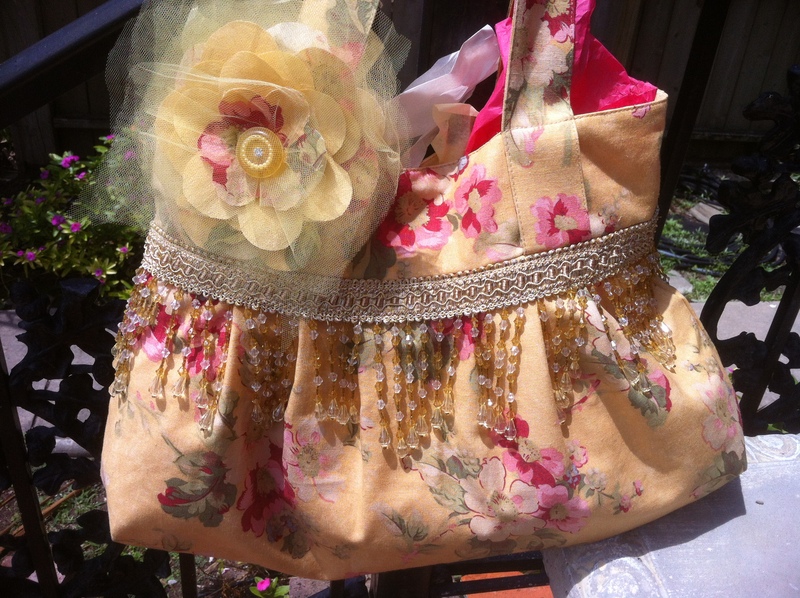 Now that I can use my feet to push that Bernina pedal, bags are blooming! 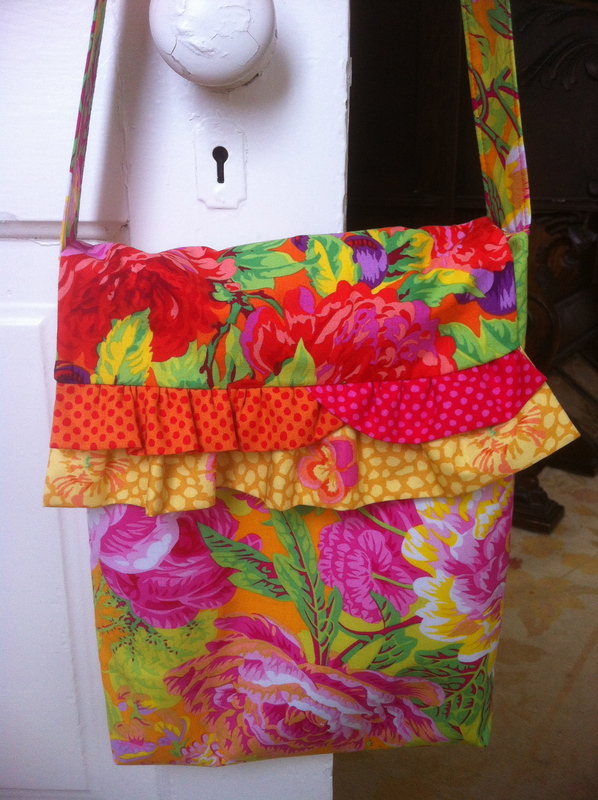 The first bag was created from a laminated Anna Maria Horner fabric. Chevron designs are popular this spring so that was my coordinate, and then I added a fun red/gold fringe along the joined seam. Christina at Tina’s aptly named it Weekend at the Cabana! 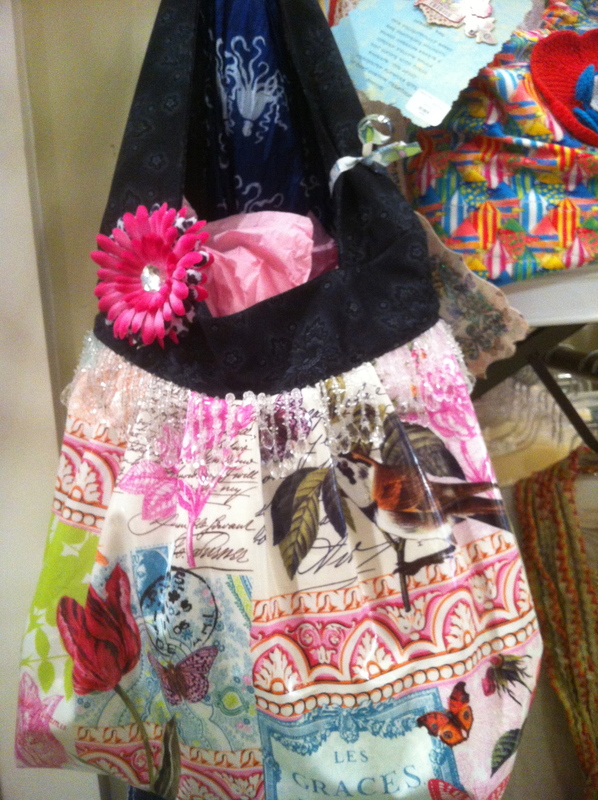 This bag was not in the store long before someone snapped it up! Yea! The next bag is called Evening in Morocco where I was experimenting with an Abbey Lane clutch pattern. The size and style are ideal for a brief outing just carrying your essentials. A magnetic clasp keeps items secure and on future bags I would add pockets. The fabric is Kaffe Fasset’s Millefiore (which I just ordered in a laminate from Creations in Kerrville, TX) in preparation for my fall line! 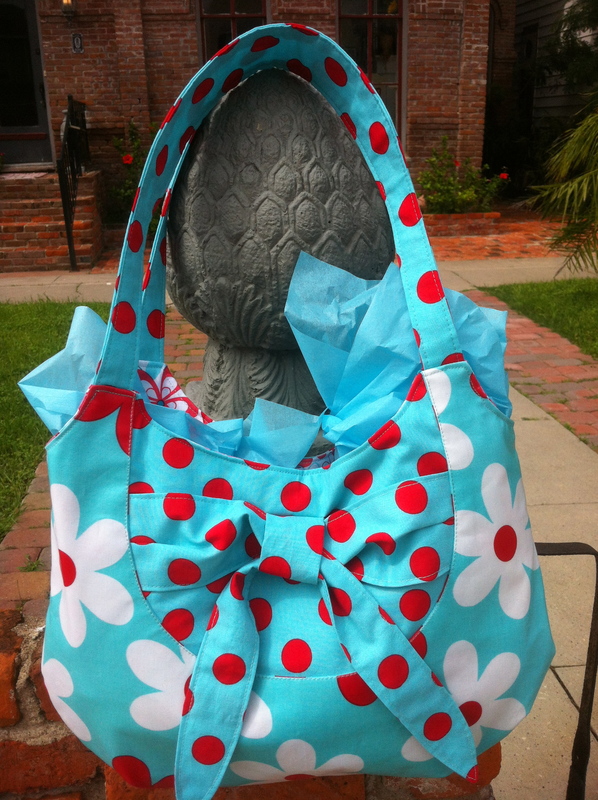 Dots & Daisies is what I named this bag made from a wonderful pattern by Craft Apple called the Knotted Bag. It comes in two sizes (“afternoon” and “all day”) and this was my first attempt at the smaller size. 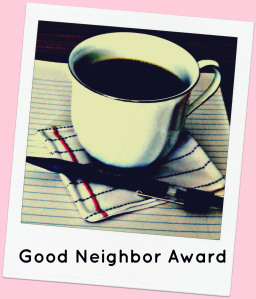 It turned out well, fashioned from a laminated Michael Miller cotton called Lil’ Plain Jane. Multiple pockets make it perfect for an afternoon of shopping.The larger All Day version is perfect for travel. 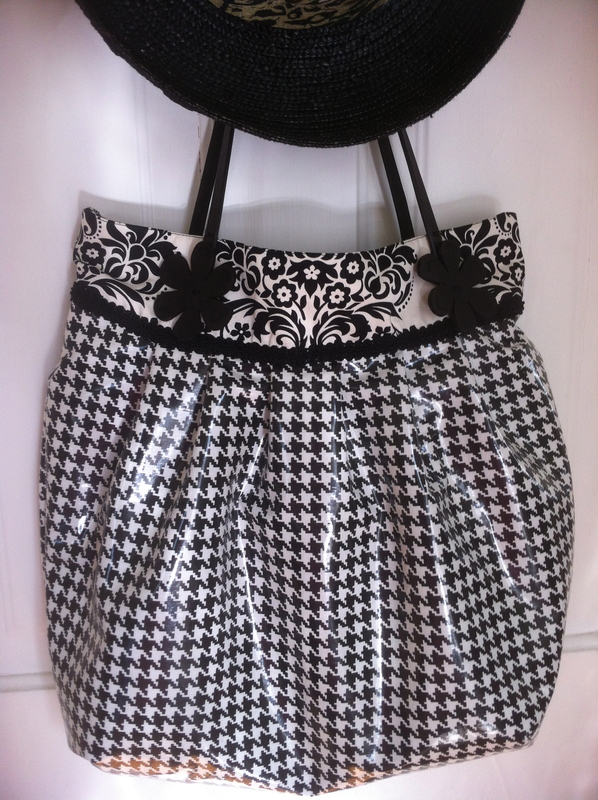 I called the next bag Release the Hounds!, created from a Hounds Tooth design from Vicki Payne for Free Spirit. The accompanying fabric was a home dec fabric, Bella, for Top Drawer. Joined by a rich black braid, and a black purchased handle from Cindy’s Buttons, made quite the sassy satchel! Traveling to Paris was fashioned from a beautifully laminated fabric by Michael Miller, the French Journal Collection. The interior is a rich floral fabric by Tanya Whelan, called Delilah. I added four pockets to this bag, one of which is a secret little compartment in the bottom, held securely by velcro covered by a tiny crocheted rose–perfect for your jewelry during a mani/pedi! The exterior flower is detachable. The complimentary black on black fabric has been with me for years. If you’re a quilter you know that years ago, Mary Ellen Hopkins designed this fabric for Alexander Henry, and I liked it so much that I kept buying it. I have used it many times through the years and sorry to say, this was the end of it. If you’re listening, Mary Ellen, I need you! Smarty Girl Book Bag is a little tote pattern by Heather Bailey. 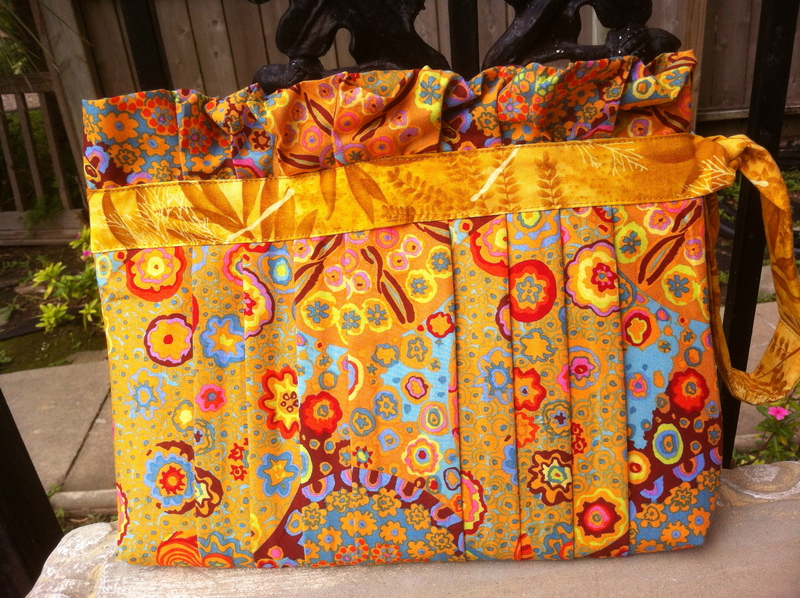 The finished size is 13″w x 10″h x 2″ d. I created it from mostly Kaffe Fassett and Philip Jacobs fabrics. Easy, functional, and fun to make; the only change I would make is adding pockets in the future. The last bag is one of my all time favorites. I designed it with multiple pockets, including a pencil/pen pocket. The fabric is an elegant home dec fabric, Folk Art Linens by Robyn Pandolph for Moda. This charming fabric is sumptuously soft and I’ve paired it with dazzling topaz-like graduated beading. The interior is a sophisticated tone on tone golden with an embossed floral design. Summer Romance is the title of this particular bag. I haven’t named this pattern yet, but because the handles form loops, I may call it the belted bag, since you could slip coordinating scarves around the top, tying on the side. I noticed a stunning little vintage button in my embellishment drawer and knew it had to be incorporated in the flower. You may not be able to tell by the picture but the yellow button is accompanied by a rhinestone center and a circle of tiny pearls. The button is circa 1910 and the loop on the back was broken. How in the world would I attach it? I could glue it on, but I prefer sewing for stability. Aha! I decided to cover the button with fine yellow netting which is sewn to the rest of the flower made of layers of the interior and exterior fabrics and yellow netting. Voila! I attached a pin and a clip for removal and the bag was complete! As you can see, the foot surgery (going really well, just a little swelling left) did wonders for my creative and productive brains. So, it’s back to the studio for me and, as always, I wish you Happy Sewing!